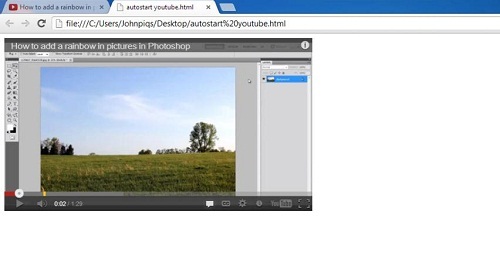 In this tutorial you are going to learn how to autostart youtube embed which can be a useful feature for web designers. First, visit the video that you want to embed into your site. Here we are using another tutorial as an example. Below the video click the “Share” option and click the “Embed” tab that has appeared. Below the box of code that has appeared make sure you select the “Use old embed code” check box, now copy the code in the box. 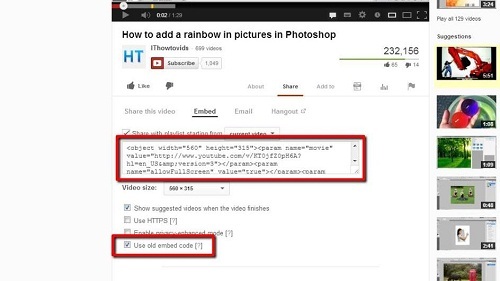 Go to your HTML editor and find the place where you want to insert the video. In this example we are just going to use Notepad. Look for the YouTube link in the code and at the end of the video ID code (a series of random letters and numbers) and before the “?” type “&autoplay=1”. Repeat this for the second link in the code. Now we will save this file with a “.html” extension, locate it on our computer and open it. 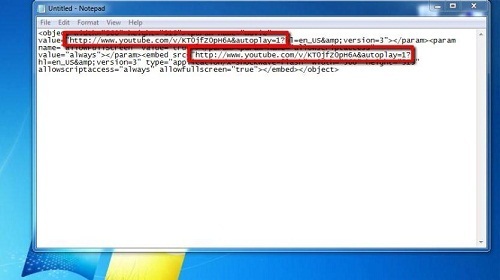 A web browser window will open and you will see that the video starts to play automatically and that is how to autostart youtube embed.